Free your voice and explore the yoga of embodied sound. 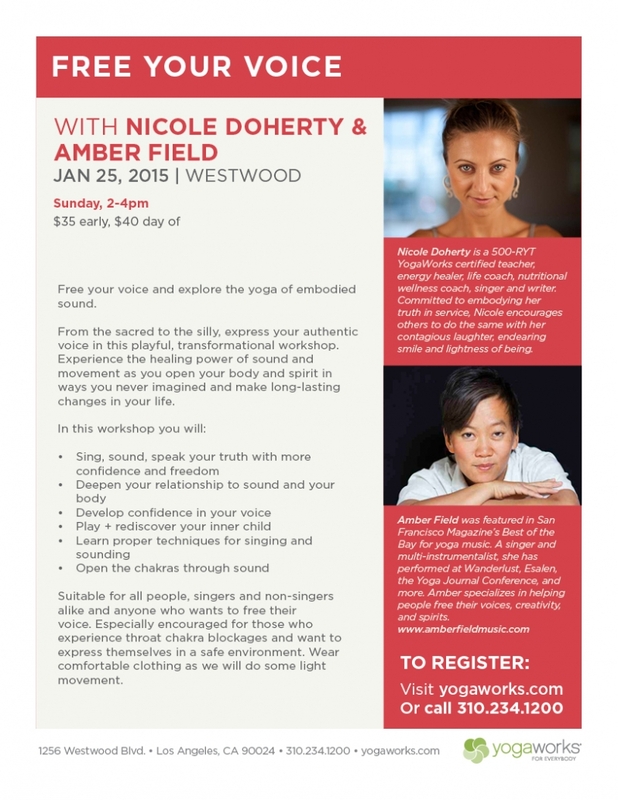 From the sacred to the silly, express your authentic voice in this playful, transformational workshop. Experience the healing power of sound and movement as you open your body and spirit in ways you never imagined and make long-lasting changes in your life. Suitable for all people, singers and non-singers alike and anyone who wants to free their voice. Especially encouraged for those who experience throat chakra blockages and want to express themselves in a safe environment. Wear comfortable clothing as we will do some light movement.